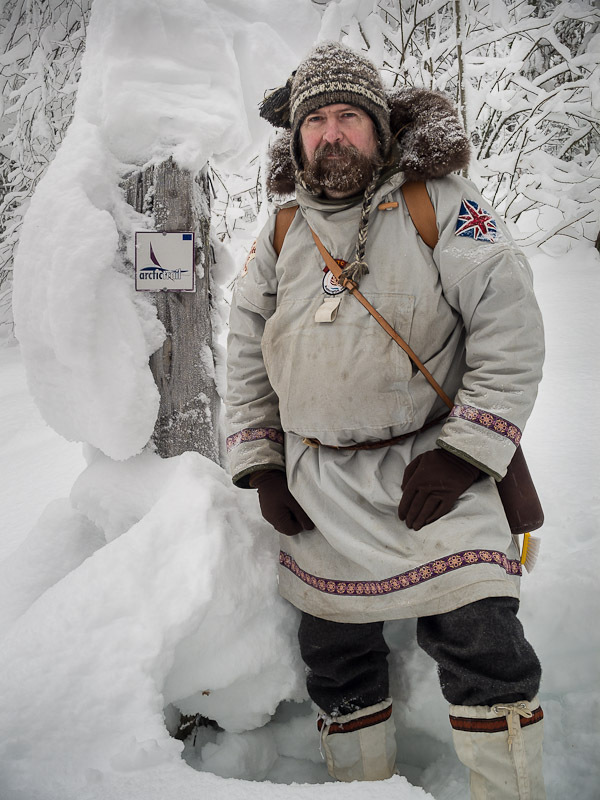 As you may have noticed by now I tend to be a fan of natural materials for outdoor clothing and one place that it really takes some beating is in the cold. A perfect example of this is the traditional snow parka or anorak designed to be used over a woollen layer system in Arctic conditions. Mine is double skinned and fully reversible, light grey tent canvas on one side and Nato green L19 Ventile on the other. The ruff is re-cycled from an old Victorian fox fur stole that I found at a boot sale some time ago and can be removed for washing etc. This is an application where fake fur really is inferior as frost will naturally shed from the tapered hair of natural fur. I do not approve of fur farming for fashion but at least this poor creature has ended up doing something more useful than just decorating some ones neck. The two layers are sewn at together at the cuffs and skirt but the upper part of the hood is just connected with Velcro which allows me to get between the layers to fix anything that needs fixing. As there is now a hooky and loopy side it was a simple affair to make a hood extension with opposite Velcro strips allowing the parka to be used with or without the ruff. Having said that, it was probably the most complicated and awkward item of clothing I've ever made and I certainly don't intend to make another so I made this one to last. It's based roughly on the Sally Robbins pattern from the Conover's excellent book "Snow Walker’s Companion" but I adapted the design with a few of my own touches and based it around the cut of my wind shirt. I’ve been asked a few times for a patter but the truth is, like many of my projects, I just made it up as I went along. The general idea is that the sleeves are wide enough to bring your arms back into the parka and adjust your layers without exposing yourself to the wind. It can also be ventilated by just unhooking the belt and opening the neck gusset (as shown) to get a chimney effect if needed. It seems to be a very practical garment and the belt I am currently using is an interesting design too. 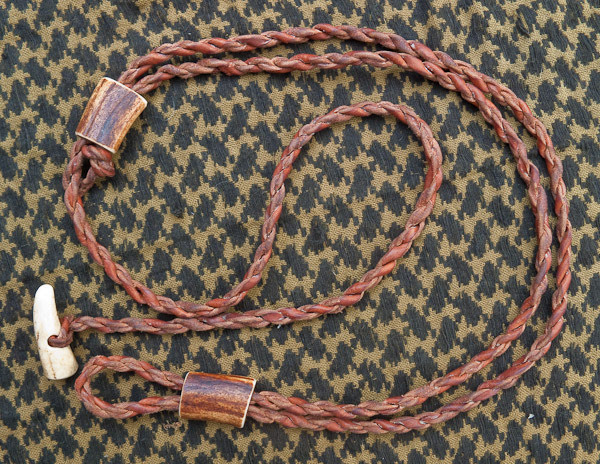 This one is made from twisted reindeer hide with antler for the toggle and slides.